Whether a data center has gone “green” or is currently in the process of doing so, there is little doubt as to the reasons why. Data center operators have seen a major increase in costs for electricity over the past few years. These costs are not likely to go down any time soon either. Data centers frequently audit their energy consumption standards, and in doing so, they often find that additional measures to improve energy efficiency must be implemented. There are five common methods that have proven successful for lowering energy consumption. Using these methods can help reduce costs and enhance service offerings to customers. Many customers are looking to partner with eco-friendly centers, so it’s also helps attain new customers. One of the easier steps that data centers can take toward becoming a more green data center is simply by consolidating servers. This can save data center managers on costs substantially. In fact, recent studies have shown that many data centers have 10 percent to 30 percent of their servers sitting in a “dead” state. This means they are consuming energy, throw power connections, cooling, and so on, but are not actually in use. Consolidation will allow more of one server to be in use, reducing that dead time that uses unnecessary energy. Most data centers already have power management tools at their disposal. The issue is that many managers do not know how to use them, or they do not want to use them. In addition, some may have some initial implementation costs that managers don’t want to incur. Data centers that are converting to greener practices need to implement these power management policies. By doing so, some data centers can cut their consumption by over 40 percent. A lot of today’s server hardware is outdated and consumes a lot more power than necessary. There are, however, energy-efficient servers that are coming on the market faster than ever. This is because server manufacturer also recognize the need for their products to reduce energy use. These servers use less energy to run, do not generate as much heat and deliver twice the performance. In fact, many of these energy-efficient models operate at twice the speed of regular servers. Some do this while only using 40 percent of the power of traditional servers. 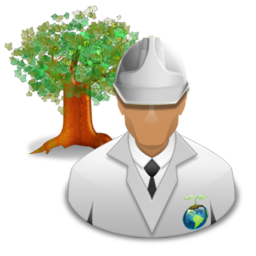 Another strong area where data centers can become greener is through their people. They can develop and champion campaigns for greener practices. This company-wide mentality can have an instant and long-lasting impact on the way you operate. People start to think more efficiently and therefore are more efficient. By following these simple practices, data centers not only see increase value from the reduction in energy cost and waste, but can also see an increase in efficiency across their facility and their employees. Transitioning from one data center to another is a major project for any business, especially when choosing a third-party colocation provider for the first time. Not only does a successful move have a variety of long-term implications, but potential short-term complications. Only by implementing a solid transition strategy will the move to a new colocation facility be as smooth as possible. Moving an entire data center to a colocation facility is a time-intensive task. In order to have enough time to develop and flush out the “moving plan”, businesses should start planning three to six months in advance. Ideally, the plan should start being developed while the business is still evaluating potential colocation facilities. When crafting the colocation transition strategy, it is important to take extra time to identify potential risks and pitfalls which could complicate the move and lead to an extended downtime. Once all of the risks are identified, then multiple contingencies should be developed for each. This is the only way to ensure a major downtime does not occur during the move. Nothing is worse than getting tripped up right before all of the servers are about to go live. In order to make sure everything gets moved at the right time, creating an up-to-date inventory list is critical. The inventory list should include all of the hardware, applications, and support contacts which will be moved or used during the transition to a colocation facility. The earlier this is completed the better because it will dictate the overall moving strategy. Most businesses have some type of disaster recovery plan in place. 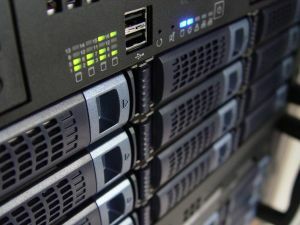 When moving from the current data center to a colocation facility, the disaster recovery plan will need to be adjusted. It is also beneficial to create a stop-gap disaster recovery plan which is solely focused on disasters which may occur during the move. Once the SLAs have been signed, it is time to begin moving the hardware to the colocation facility. Every move-in strategy is based on one of two concepts. The first is to move all of the primary hardware and applications immediately. This ensures the business gets the most difficult and mission critical aspects of the move taken care of as quickly as possible. The second strategy is to move all of the secondary hardware and applications first. When this strategy is employed, the secondary hardware will be completely online before any primary hardware is moved. The secondary hardware then takes on the role of the primary hardware as a stop-gap solution during the rest of the transition. The final step is moving whatever hardware and applications remain. All of the remaining setup and configuration is taken care of during this phase as well. Moving to a new colocation facility is a time-consuming process which requires proper planning and an effective move-in strategy to make it as easy as possible. Taking time to plan the move to a colocation facility provides significant cost savings during the move as well as over the long-term. Plus, the value of pre-determined moving day contingency plans cannot be overstated. There are a growing number of reasons for businesses to use a third-party colocation facility. There are, however, a large number of options to choose from when assessing these facilities. One of the biggest problems facing these organizations is developing an effective method for identifying the best possible options. The list of factors a company could consider when selecting a colocation facility potentially includes hundreds of different characteristics. While every business should tailor their criteria based upon their needs and industry regulations, there are 12 essential factors which should never be overlooked. Location is a critical factor to consider, regardless of how important the actual location is in relation to the businesses primary office. Location directly affects how often the businesses IT staff will be able to access the servers, which can lead to higher monthly costs. This is due to an increased need for additional services, such as virtual hands. Additionally, some businesses prefer to use colocation facilities outside of their primary operating zone to ensure their data is saved in the event their home office is affected by a natural disaster. Every colocation facility is forced to delicately balance the ease of access with physical security. When selecting a facility, it is important to review staffing hours and security monitoring systems to ensure all of the hardware is safe and secure, yet accessible, at all times. Power redundancy is less important to businesses using a colocation facility as a disaster recovery resource rather than their primary data center. While it may be less important, it should always be a consideration. Along with power redundancy, take a close look at the power backup strategy. Fire is a unique threat within a data center because the prevention method has the capacity to cause more damage than the fire itself. It is important to consider the use of smoke and heat detection systems, EPO systems, as well as the specific fire suppression technology utilize throughout the facility. When evaluating connectivity, it is important to look at both the available bandwidth as well as carrier options. Carrier neutral colocation facilities are always preferable because it drives down bandwidth prices as well as provides a built-in redundancy. Regardless of how long a colocation facility has been operating, it is imperative to always review their financial information. There is no use choosing a facility which will be out of business within the next five years. Most colocation facilities are easily compared based upon a “watts per square foot” criterion because it directly affects cooling and power delivery. The greater number of watts per square foot, the greater future growth potential there is within the facility. It is important to always speak with existing customers to discover how well they are treated by the colocation provider. This will not only provide greater insight into the facility itself, but also how unexpected complications are managed. Most areas around the country are prone to experience one or more types of natural disasters. It is important to find out what they are and how the colocation facility reacts to them. Colocation facility infrastructure naturally degrades over time. While considering the age of the data center itself, special attention should be paid to how well it is maintained and what steps are being taken to extend its lifespan and improve efficiencies. Some businesses operate within industries which have special requirements regarding data protection and privacy. If a business has any special needs, it is important to address them with the colocation provider as soon as possible. The final factor to consider is the service-level agreement. While there are a variety of standard specifications, the compensation penalties paid to businesses when the facility does not meet service levels varies greatly. Choosing a colocation facility can be tricky because the decision process has become increasingly complex. In order to a evaluate multiple options as quickly and efficiently as possible, it is all of the necessary criteria and factors used to make the final decision must be outlined in advance. More and more of today’s data centers are pushing to become more efficient. Don’t confuse a green data center with those that are only operating more efficiently. While there is no clear definition of what constitutes a green data center from an efficient one, but there are some accepted general concepts. For example, a green facility is a facility that uses limited resources in terms of energy, materials and water. These facilities operate with less of an impact on the environment. Therefore, they often earn certification, etc., lending credit to their green status. Today’s computing environment is all about utilizing the maximum equipment potential while making the smallest carbon footprint. That is why more data centers are trying to implement sustainable operations and infrastructure. Unfortunately, a true sustainable building in the data center industry is fairly rare. This is because it is virtually impossible for a data center to achieve 100-percent sustainability. That being said, any level of sustainability achieved is a vast improvement from past data center designs. Functionality and Availability – Does the facility have less capacity than traditional data centers? Is the infrastructure of the data center more susceptible to downtimes and outages? Costs- Will the green facility be costlier than regular facility, and by how much? New Technology – Since greener facilities will implement new technology, how thoroughly tested was it prior to installation? Will your own technical staff still be able to manage server equipment you have housed at the facility? Will there need to be additional staff on hand? Will you have to rely on data center staff for issues, and will that cost you more? Even with a green data center, companies still need to assess other issues. These include security protocols in place, redundancy and reliability of the power and network infrastructures, and so on. Partnering with a green facility will do no good if it can’t provide those basic data center services. All users are aware of the limited resources available to power more traditional data centers. This is why more data centers are opting for greener facilities. In fact, the Environmental Protection Agency estimated in 2007 that power usage would double from what it had been the prior six years. By 2020, the EPA estimates that power consumption will be around 104 billion kilowatts per hour. Data centers are a part of that, and most will be implementing energy efficient practices to keep costs down. Green data centers can be just as reliable as traditional data centers. The only issue is whether or not the green facility has cut any day-to-day measures to meet green standards. Monitoring air temperature is essential in any area with IT equipment. It is particularly important to monitor air temperature in rooms, racks, and directly around the equipment. The most common method of achieving this is by using temperature sensors. If air temperature is not monitored, it can lead to equipment failure or a reduction in the equipment lifespan. This is caused by constant air temperatures above equipment specifications and frequent, drastic temperature changes. Humidity must be monitored at the room and rack level. The focus must be on the relative humidity at specific operating temperatures – not humidity levels in general. This is achieved by using humidity sensors. If there is too little humidity, equipment failure can be caused by static electricity buildup. If there is too much humidity, condensation can cause equipment failure and create an unsafe working environment for personnel. All data centers already have basic smoke and fire detection monitoring because it is required to meet local building codes. The codes are governed by specific legal and safety regulations. Unfortunately, the legally required smoke and fire detection monitoring in a data center is not enough. Supplemental smoke sensors strategically placed near all operating IT equipment is critical to preventing electrical and material fires. Unmonitored fires cause equipment failure as well as a loss of assets and data. There are a number of potential airborne contaminants in data centers which become hazardous at high levels. The most common airborne threats include hydrogen from batteries and dust particulates. Using chemical sensors, hydrogen sensors, and dust sensors eliminates the risk of airborne contaminants in a data center. If hazardous airborne contaminants are left unmonitored they can quickly create a dangerous situation for personnel. Excessive hydrogen can also affect UPS reliability. The risk of equipment failure also increases because dust increases static electricity and clogs filters and fans. One of the most difficult dispersed physical threats in a data center to monitor is liquid leaks. The leaks are most likely to be either water or coolant. This can damage floors, cabling, and equipment. It can also be an indication of CRAC problems. The best way to monitor for leaks includes rope leak sensors and spot leaks sensors. These lesser known threats can cause just as much downtime as the more common threats. A minimum level of monitoring for physical threats is never adequate for identifying and preventing dispersed physical threats in a data center. The best data centers utilize a variety of additional sensors and monitoring techniques to protect themselves from these threats. Since these physical threats are distributed throughout the data center, the location of sensors will vary based upon the room layout and equipment positioning. This helps us connect you with the company that best fits your needs. Please list your company's location and service requirements here.